Only recently, we have shown you the fresh pictures of the upcoming Transformers: Age of Extinction movie, and already today we would like to present you the first official screenshots of another anticipated blockbuster - Batman vs. Superman film. So, if you are a fan of different projects about the various superheroes, then you will like this news for sure. Thus, Zack Snyder - the director of the abovementioned movie - has posted the first two Batman vs. Superman screenshots in his Twitter account. Let us remind you that this blockbuster (Batman vs. Superman is its work title so far) is a sequel of Man of Steel film, and it’s based on the comics about two mentioned above superheroes from DC universe. 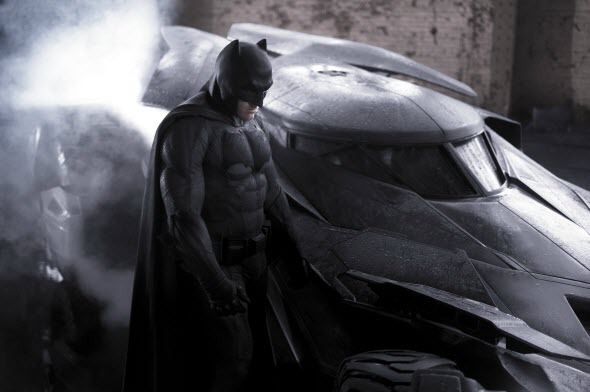 Fresh Batman vs. Superman screenshots demonstrate us one of the movie’s protagonist - Batman - and his incredibly luxury car. 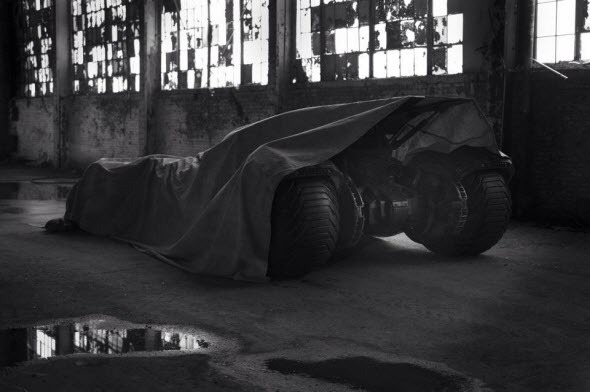 Although the pictures are black-and-white, nevertheless we can imagine how famous batmobile, the prototype of which has been especially created for this blockbuster, looks like and admire the appearance of Ben Affleck in the cool Batman’s suit. Do you like it? Batman vs. Superman film will hit our cinemas sometime in spring 2016, regardless the fact that its shooting has already begun.